The French holding company's acquisition spree continues after completing its deal for Sapient earlier this month. 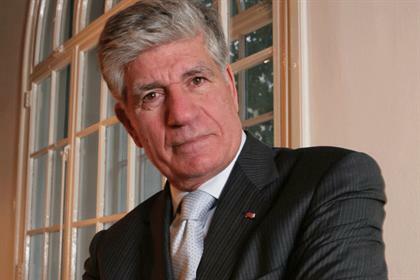 PARIS: Publicis Groupe has bought South African firm Epic Communications, with plans to merge it into MSLGroup, the holding company said Thursday morning. The acquired agency’s CEO, Elian Wiener, will remain on-board in the same position, and the firm will operate under the Epic MSLGroup brand. Epic’s services include integrated strategic communications, specifically traditional media and IR, reputation management, activations, and digital. The firm has 50 consultants in offices in Johannesburg and Cape Town, and its 40-plus retained clients include Samsung, Nedbank, DHL, Cipla, and Old Mutual, according to a statement from Publicis. "We chose to acquire Epic because it is one of the leading strategic comms and engagement firms in South Africa and it also has a great CEO," said MSLGroup EMEA president Anders Kempe. "I am convinced [Wiener] is not only going to continue to grow his company in South Africa and support MSLGroup with taking on other markets in Africa, but he is also going to be a great contributor to our EMEA management team." Kempe explained that MSLGroup is focusing on the African market because the firm’s global clients have demanded service there, and the African economy is expected to rocket over the next 10 years. "This is only the first step of many other steps for us to come in Africa," he said. The acquisition is not expected to results in any layoffs or client conflicts, Kempe added. Financial terms of the deal were not disclosed. In 2014, Publicis acquired BrandsRock, Liquorice, Machine, Prima Integrated Marketing, OwenKessel, and Lighthouse Digital. Last month, Publicis merged two MSLGroup companies, Capital MSL and Communications Network Consulting, into an entity known as CNC. Earlier this month, the Paris-based holding company completed its $3.7 billion acquisition of Sapient, a marketing, commerce, and consulting shop. It announced the deal in November, less than six months after its proposed merger with fellow holding company Omnicom Group fell apart. Last January, Publicis acquired Qorvis Communications and merged it into MSL, forming Qorvis MSLGroup. Publicis’ organic sales grew 3.2% in Q4 to $2.4 billion. The holding company did not break out the performance of its PR firms. This story was updated with comment from MSLGroup.